Lately, I have been feeling very festive and am looking forward to the holidays this year. So I decided to go all out and create not just one, but THREE free Christmas desktop wallpaper designs! To celebrate the upcoming holidays, and the launch of my brand new Christmas map graphics kit called Santa’s North Christmas Village, - which will be available on Black Friday 11/23/2018 - if you are subscriber lookout for a fantastic deal coming to your inbox for this product launch! If you are not already a subscriber, you can subscribe here and be in the loop for new freebies and product launch exclusives. I am making desktop wallpapers available for free in this blog post and future posts, as well as in my subscriber-only design archives for easy access to all the designs, free graphics, and so much more. 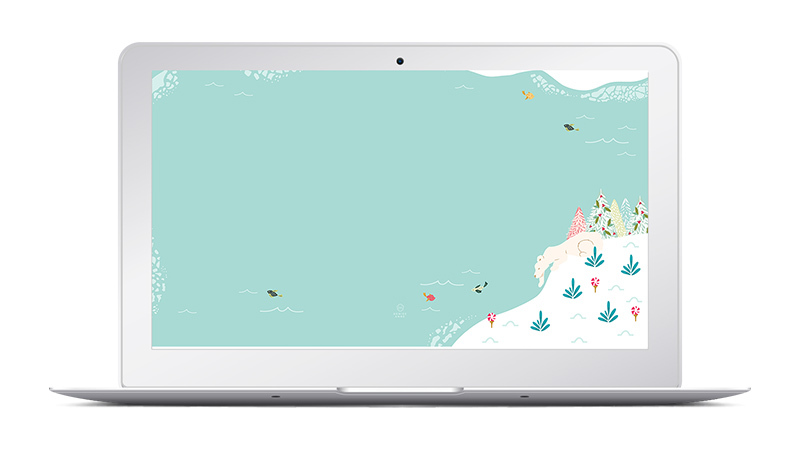 But now, you can download these Christmas wallpaper designs from right within this blog post! I hope you enjoy these desktop wallpapers, and may you have the most amazing and joyful holiday season with your loved ones. Download your favorite, or all three below! Get this design and save to your computer right from this blog post! Just choose the size that fits your screen, it will open in a new window, right click and save it. Subscribe to the studio newsletter to get access to subscriber freebies, free graphics and more!